Nina is taking advantage of another snow day to redecorate her bedroom. She ripped down all the notes and drawings about fairies that have been taped on the daffodil-yellow walls since last summer. 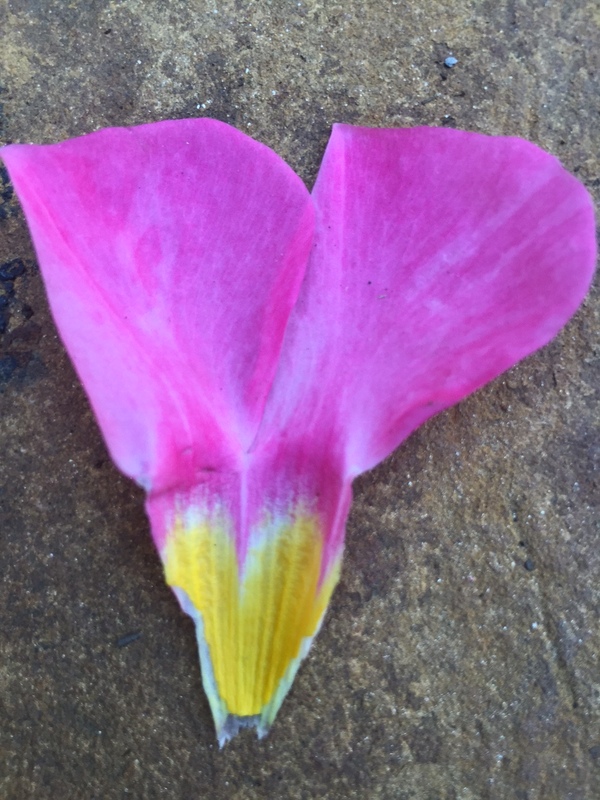 I gathered them gently, as if they were rose petals, and lingered over my child’s innocence. “What do you make your clothes out of?” And on every note, the fairies replied — amazingly always while Nina was at school — that they made their wings out of every color, their beds out of flower petals and clouds, and that they live all around us. 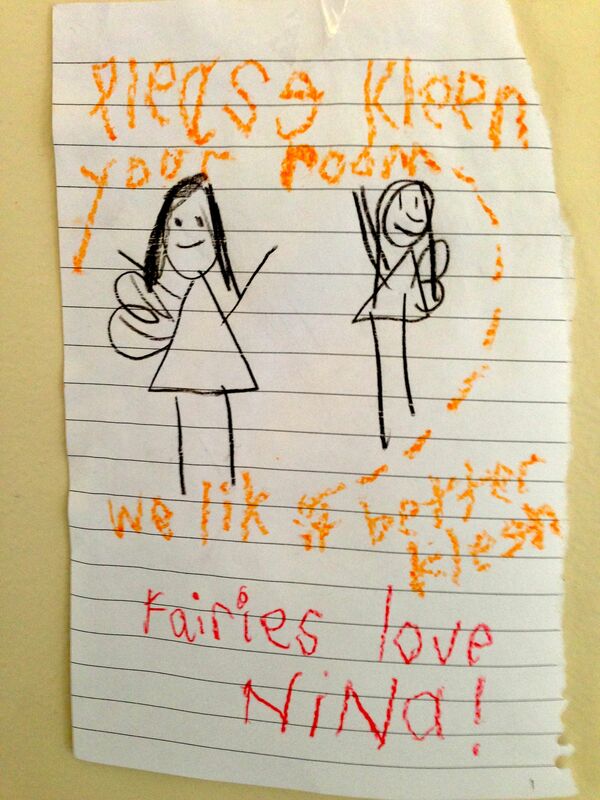 The fairies even reminded Nina that they prefer to visit a “kleen” room, spelled just like a six-year-old would understand. A sparse sprinkling of glittery fairy dust on the dresser in her room every now and then was evidence. 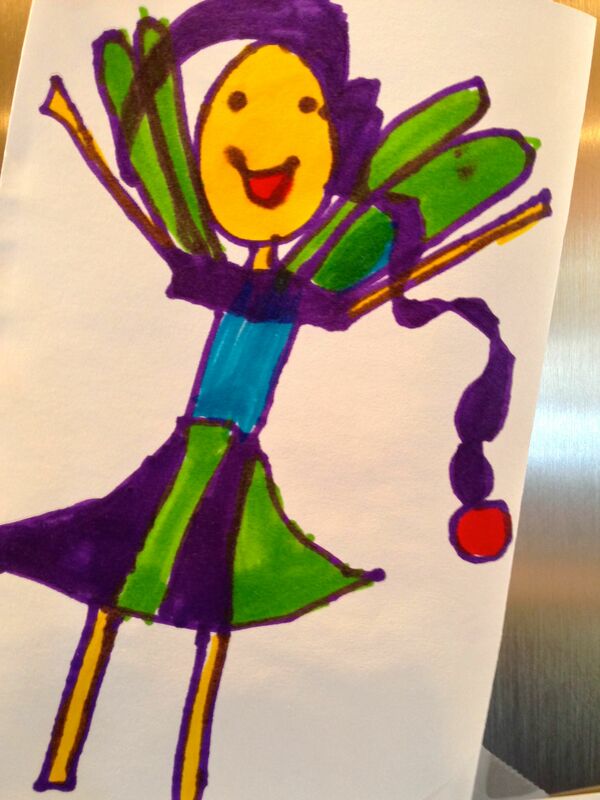 I know there are many viewpoints about perpetuating a child’s belief in fantastical beings such as fairies. Nina’s dad, for example, believes adults shouldn’t lie to their children and that telling them fairies can be real is doing just that. Fair enough. But I also know that childhood is short, reality comes too soon, and that the world seems so much more beautiful when I’m willing to believe there’s more to it that I can visibly see. “I don’t get God,” Nina said to me once. “People say he’s all around you but I’ve never seen the guy. Wait . . . he is a guy, right?” I don’t have any good answers, and try to explain that there are many different ways people understand and see God, and that maybe we’re all just trying to describe love. Are fairies, Santa Claus, the Easter Bunny and all the rest essentially primers for faith?